Rang De Basanti was directed by Rakeysh Omprakash Mehra and co-starred Aamir Khan, Siddharth Narayan, R. Madhavan, Soha Ali Khan and Waheeda Rehman. Film was made with budget of INR250 million and earned INR925 million at box office. Film tells the story of five friends acting in a documentary film of Indian freedom fighter directed by British filmmaker. One of their friends is killed in a fighter aircraft crash, the friends come to know about the loopholes in the government department. They discover that the corruption of defense minister is the root cause of air crash. The minister outsourced fighter planes spare parts to a company for bribe and it led to cheap spares used in defense air fighters. Rest of the story is about how they take revenge for death of their friend. Golmaal: Fun Unlimited was directed by Rohit Shetty and co-starred Ajay Devgan, Arshad Warsi, Paresh Rawal, Tusshar Kapoor and Rimi Sen. Film was made with budget of INR110 million and earned INR699 million at box office. Film tells the story of four best friends, one of them is a college student and others use his hostel room for their parties. Student is kicked out of college because of his mischievous conducts. Now they find refuge in bungalow of blinds, the aged blind couple are expecting their grandson from America and the four use this opportunity by pretending to be their grandson. Raqeeb was directed by Anurag Singh and co-starred Tanushree Dutta, Jimmy Shergill and Rahul Khanna. Film was a commercial hit and earned INR39 crores at box office. Film tells the story of a girl who cons men for making money. She is in love with a guy but she cons other guys pretending to be in love with them too. Once she gains their trust she kills and robs their money. Her first victim is a multi-millionaire who loved her sincerely. But the multi-millionaire isn’t dead but pretending to be dead to find out the real culprit. 3 Idiots was directed by Rajkumar Hirani and co-starred Aamir Khan, R. Madhavan, Kareena Kapoor, Boman Irani and Omi Vaidya. Film was made with budget of INR35 crore and earned INR392 crore at box office. 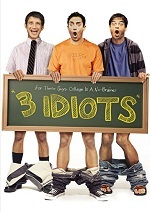 Film tells the story of three college students studying engineering. The college principal is a very strict officer and punishes harshly for indiscipline acts. One among the friends is most intelligent in college, second one is interested in photography, and third one is too afraid of his future. After the college days friends part away and first friend disappears mysteriously, rest of the story is about how they reunite with him after several years. 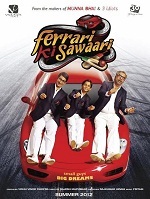 Ferrari Ki Sawaari was directed by Rajesh Mapuskar and co-starred Boman Irani and Ritvik Sahore. Film was made with budget of INR100 million and earned INR440 million at box office. Film tells the story of a young married man who wants to keep his son happy always. His son wants to play at Lord’s Cricket Ground but his father is a very simple man who can’t afford such things. He borrows Ferrari car of Sachin Tendulkar and rest of the story is his journey with his new red Ferrari.